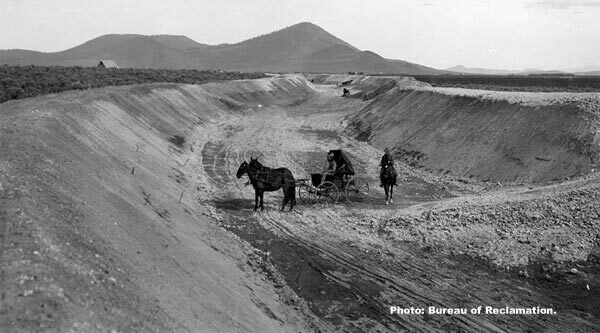 How it all began – Private water projects began in 1868. 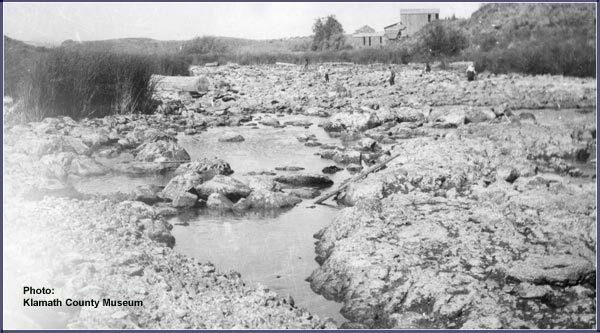 A small irrigation ditch was dug near Linkville, and by 1884 it had been widened and extended for 15 miles, irrigating 16,000 acres. Water power for early saw mills and grain mills started in 1869. 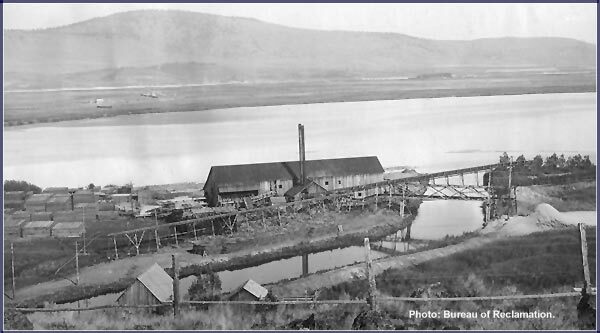 1880’s… Pre Project Days – For nearly twenty years the Adams Canal drained water from Lower Klamath Lake into the Merrill area. Frank Adams had help from these Van Brimmer brothers to make the system work. 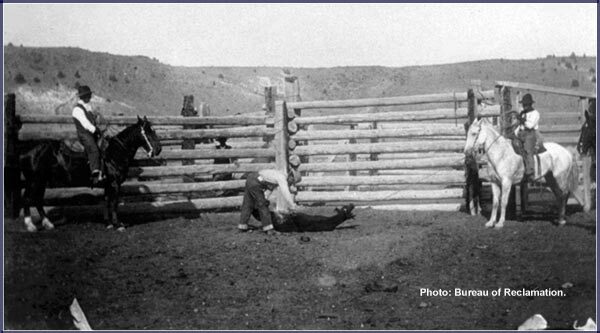 1902… The Reclamation Act – The population of Klamath Falls, then called Linkville, was 447 in 1900. 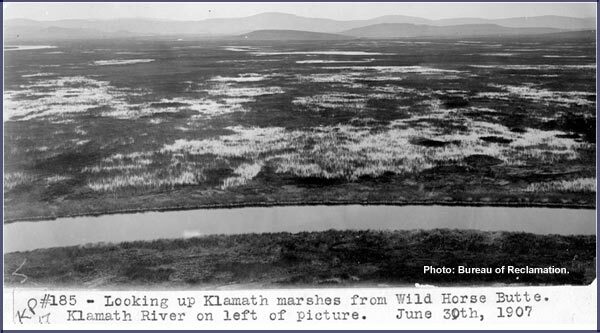 Congress enacted the Reclamation Act of 1902, which encouraged the settlement of the arid western states with the use of water for irrigation and power development.Today, Klamath Falls has the largest population in the entire Klamath River watershed by a factor of nearly ten. 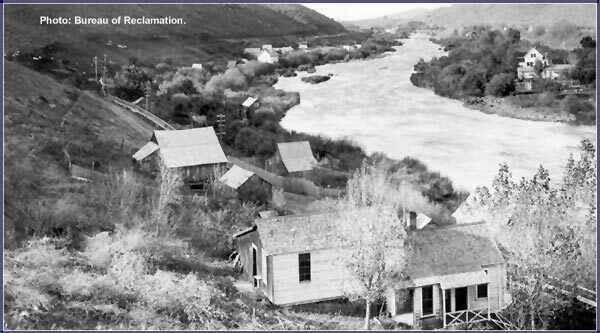 1903… a Concept is tested – the Bureau of Reclamation sent John T. Whistler, Engineer of the Oregon District, to investigate the possibility of the Klamath area becoming the second federal reclamation project. Engineer Whistler found a long gradually sloping basin that on average dropped a foot in elevation every 1,000 feet. 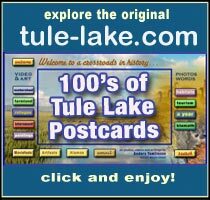 Upper Klamath Lake was at the northern end and two large shallow lakes, Lower Klamath and Tule Lake, were to the south. Water through the seasons advanced and receded between three basins and the Klamath River. 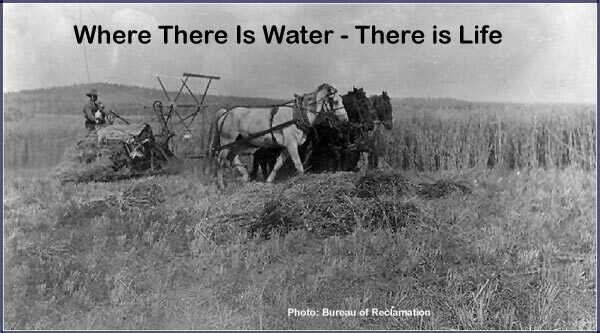 The challenge for Reclamation would be to divert water from Tule Lake and Lower Klamath Lake to create productive farmland. Summers could be dry – John T. Whistler was also aware that the mile-long Link River, connecting Upper Klamath Lake with the Klamath River, had an Indian village whose name meant “the river that flows two ways.”In the late summer,it was not uncommon for the river to go dry or have its water blown north into Upper Klamath Lake by wind. 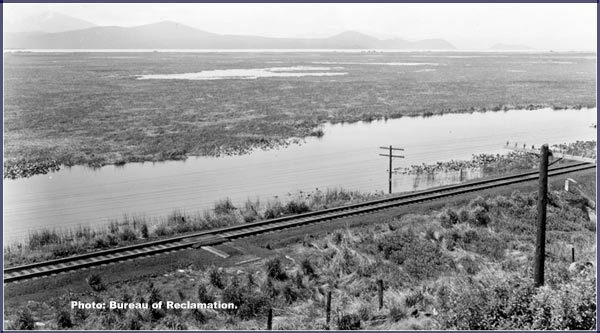 1905… Klamath Reclamation Project – The project was approved on May 15th, 1905 and one million dollars was immediately allocated. Reclamation began to buy, and unify,private water projects into one master plan. This photo is looking north up Link River towards Upper Klamath Lake. 1906… Water Conveyance – Construction on the nine mile long Main Canal and six highway bridges crossing it began in 1906. Sheepy Ridge in the Tule lake Basin can be seen in the distance behind Stukel mountain. 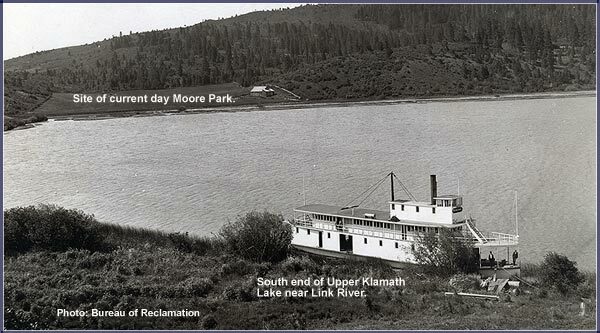 1907… Water and Transportation – The California and Northeastern Railway agreed to build a railroad embankment across the north end of Lower Klamath Lake to double as a levee. This would give the Project the ability to divert spring runoff that would flow south into Lower Klamath Lake. !908-1912… Controlling water from the east – Excavation for the Clear Lake Dam began in 1908.The 790 feet wide by 33 feet high earth and rock filled dam was completed in 1912.The reservoir had a two fold purpose: irrigate Yonna and Langell Valleys and hold backwater from Tule Lake. Excess flow from here could now be sent down the Klamath River through the Lost River Diversion Cana. Pre-project this water would go into Tule Lake. 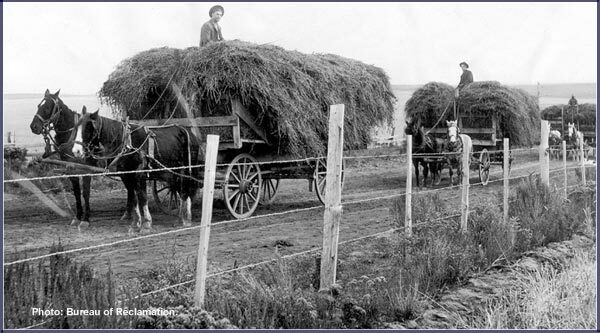 1909… Labor is needed – In July and August many workers left for higher wages in the harvest fields. 100 Bulgarians joined the work force in August. 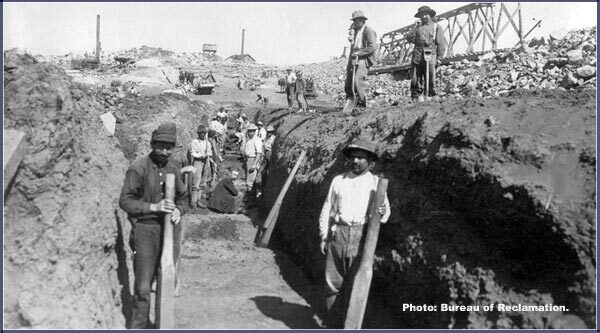 In busy months 200 men and 60 horses worked building the Clear Lake Dam. 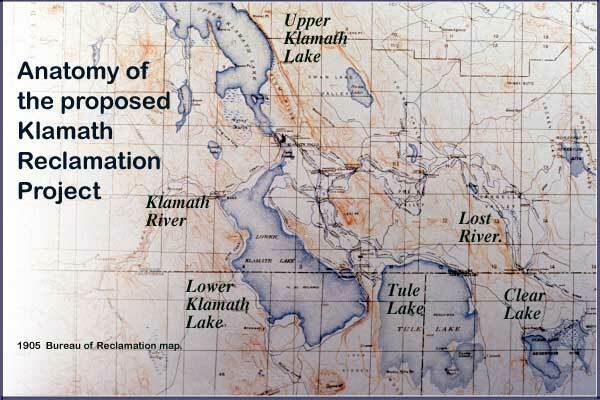 An age of navigation – Approval of the Project also required Congressional approval to end navigation on Lower Klamath Lake and Tule Lake. 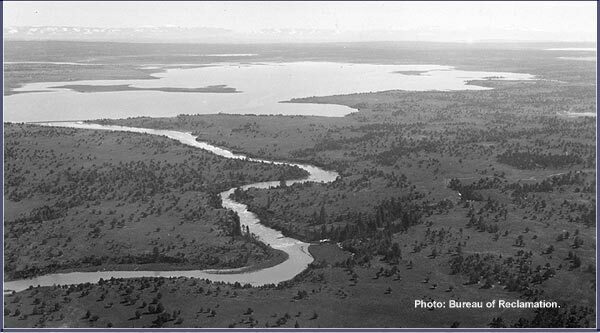 Steamboats were an everyday site crossing Upper Klamath Basin open waters. 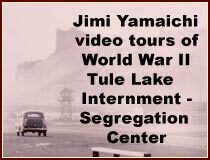 Water rights – Approval of the Klamath Project rested on adjudication of all vested and conflicting water rights and cessation of rights and title to the Federal Government by Oregon and California for Lower Klamath Lake and Tule Lake. 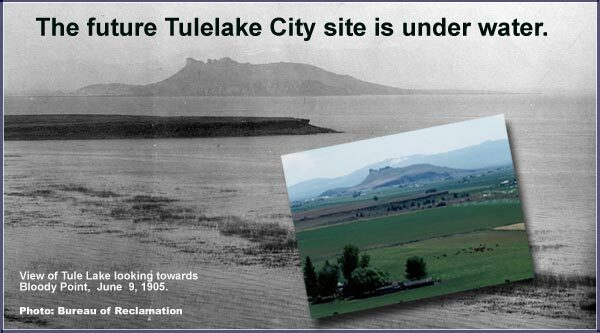 This entry was posted in Tulelake History and tagged anders tomlinson, klamath reclamation project, reclaiming tule lake, tule lake, tule lake basin, tulelake california, tulelake farming, tulelake history. Bookmark the permalink.